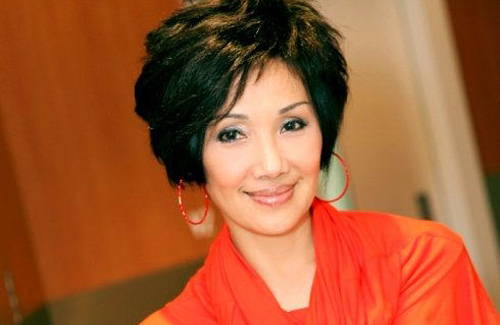 Since debuting in 1976, Mary Hon (韓馬利) has been a staple in many television dramas. Though Hong Kong viewers may be familiar with Mary on the small screen, many are less informed about Mary in her personal life. The 64-year-old actress has been married three times. She married her first husband, Mr. Chan (陳波比) in 1975, when she was just 21 years old. The marriage was short-lived, and the couple divorced two years later. She soon began dating Patricia Fung’s (馮寶寶) brother. In 1981, the couple got married. Unfortunately, the couple experienced marital problems and divorced six years later. Because of the divorce, Mary became depressed and attempted suicide. In 1989, she married Hong Kong voice actor, To Yin Gor (杜燕歌). Despite two failed marriages and a basketful of heartaches, the third time proved to be the charm for Mary, as the couple has now been in a happy and stable relationship for 30 years. Wow, she still looks so great at 64? Wow! !